If you are one of the increasingly small number of Blackberry users around these days, the chances are you were drawn to the brand by their reputation for high-level security and encryption which protected all of their users. But recent comments from their CEO might well lead to you looking for a new smartphone elsewhere. Speaking to press during the BlackBerry Security Summit in London, CEO John Chen admitted when asked if they would hand over user data to government agencies, that if US Government requested the company to access the encrypted communications of one of their customers, they would attempt to do that. But he went on to explain that they might not be able to. This response will come as a shock to many of their users who have long trusted Blackberries because of their encrypted communications. These days, the number of regular people using Blackberry devices is a fraction of what it was a decade ago. But they still remain popular within some industries and with many Government and public-sector workers because they are perceived as being secure. But with the CEO admitting they would have no qualms about trying to break their own encryption and compromise user privacy in the face of government pressure, many will now be reassessing their choice of device. One positive spin on the comments is that Chen’s answer did seem to suggest that Blackberry does not hold a universal key to access encrypted data on their device. This had been suspected in some parts, especially after a Vice investigation last year suggested that the Canadian government had obtained “global encryption key” to unlock data on all messages on BlackBerry’s BBM platform. But despite this, the stance of Blackberry on this issue is perhaps even more surprising given that it bucks the trend of other manufacturers who have made securing the privacy of their customers a major selling point. The most prominent of these is Apple, whose smartphones now make up a significantly higher proportion of market share than Blackberry and which is also the world’s most profitable smartphone company. They have defended to the hilt the right of their users to expect privacy when using their devices. This has including taking on the US Government in the courts in several high profile cases, most notably that of the iPhone belonging to the San Bernardino shooter. Despite admitting they would be happy to try and breach their own security, the Blackberry CEO did go on to claim that their operating system is one of the most secure around. Whilst their devices run on a version of the Android OS, which is notoriously insecure, Chen claimed the Blackberry version was most secure around and better even than iOS when it comes to protecting user data. But he also admitted that they do receive requests from Governments around the world for access to their data. Unlike companies like Apple, Blackberry still does not publish a transparency report to give information on how many such requests they comply with. That answer, which amounts to a shrug of the shoulders, seems to sum up the approach of John Chen and Blackberry to these issues. It simply doesn’t seem to be a priority to them, which is strange given that their business has built its reputation off the back of offering secure communications. Blackberry was in severe financial problems last years but now seemed to be moving into smoother waters. These comments may well set them back. 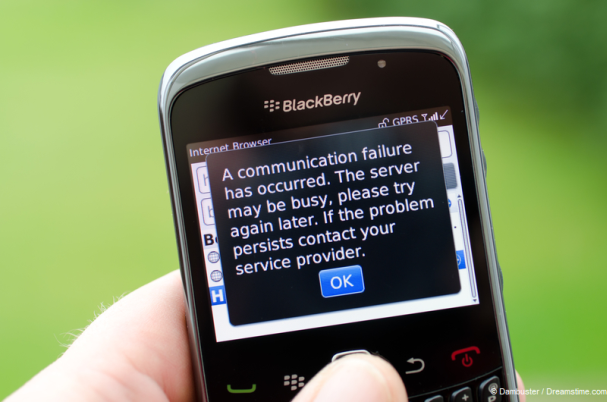 It seems sure that they will cost Blackberry a good proportion of their already dwindling smartphone market share.